synapps (AKA Snappy Homefry) is a self-proclaimed sound alchemist crafting musical elixirs for listeners seeking a therapeutic dose of sonic medicine with a global psychedelic bass flavour. Celebrating unity in diversity, synapps creates a playful and inclusive container for visceral connections through richly textured sound baths to nourish your soul, intrigue your mind and activate your heart. An honest producer/DJ, synapps isn’t shy about revealing the deeper agenda beneath his musical offerings. He stands by the creed that music is a vehicle for social narrative. 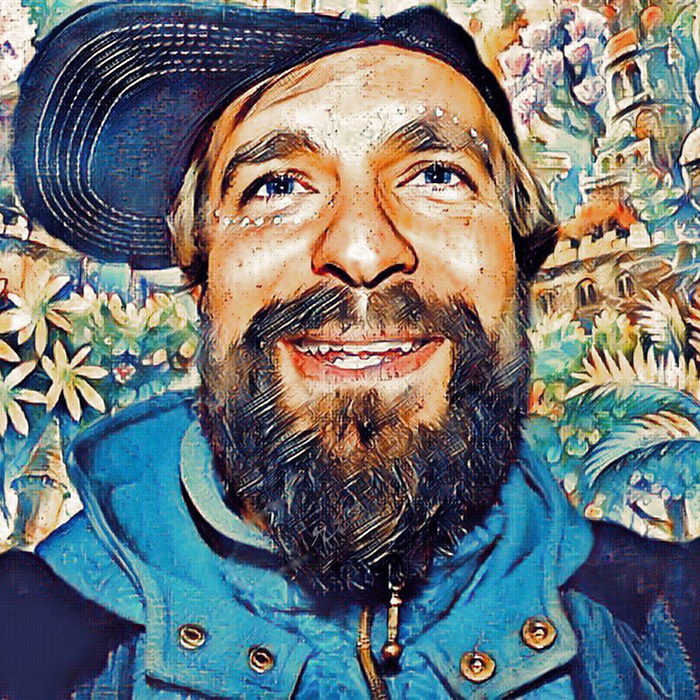 A student of permaculture, he cares for dancers with a regenerative responsibility, believing that when people are open and engaged on a dance floor, they are like fertile soil ready to sprout with seeds of inspiration for positive social action. Assisting your empowerment, synapps drops words of motivation sampled from local and global social/political/environmental changemakers into his unique sound tapestries. His has spread his high vibes across North America at Beloved, Lucidity, Shambhala, Harvest Festival, Solstice, Future Forest, Valhalla, Praxis, Evolve Festival, sharing stages with Andreilien, The Human Experience, Adham Shaikh, Michael Red, Dubmatix and Soohan. Like any serious alchemist, synapps aims for that perfect balance of elegance, precision, chaos and flare while he’s weaving the soundscapes of your dance journey. So, musical devotees, if your blood is pumped full of bass, your imagination inspired by the rainbow ethers of psychedelic dreams, with a heart that calls for a united world through global community activation, welcome home.